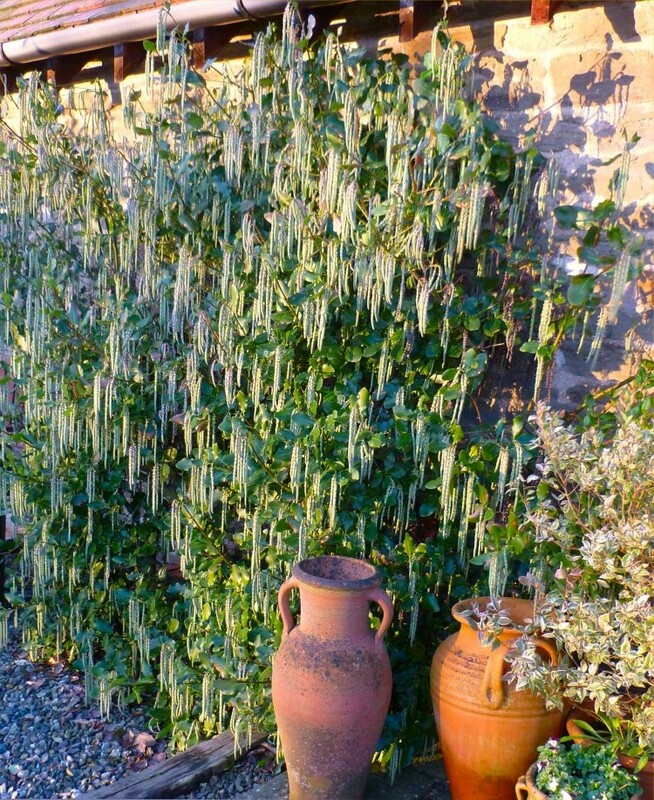 'James Roof' is a handsome form of Garry elliptica, an evergreen shrub that becomes festooned with long silvery, silk-like catkins from December to March. 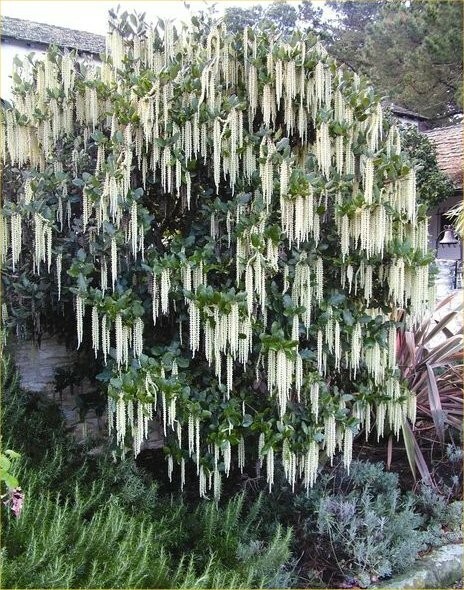 These shine out against a background of wavy-margined, grey-green to dark green foliage throughout the winter and appear to hang like tassels. Dense and upright in habit, it's perfect for a sunny or partially shady shrub border or training against a wall, 'James Roof' is particularly noted for providing interest in the winter garden over a long period. It costal areas, allow it space and to grow large as a windbreak at the rear for exposed borders. 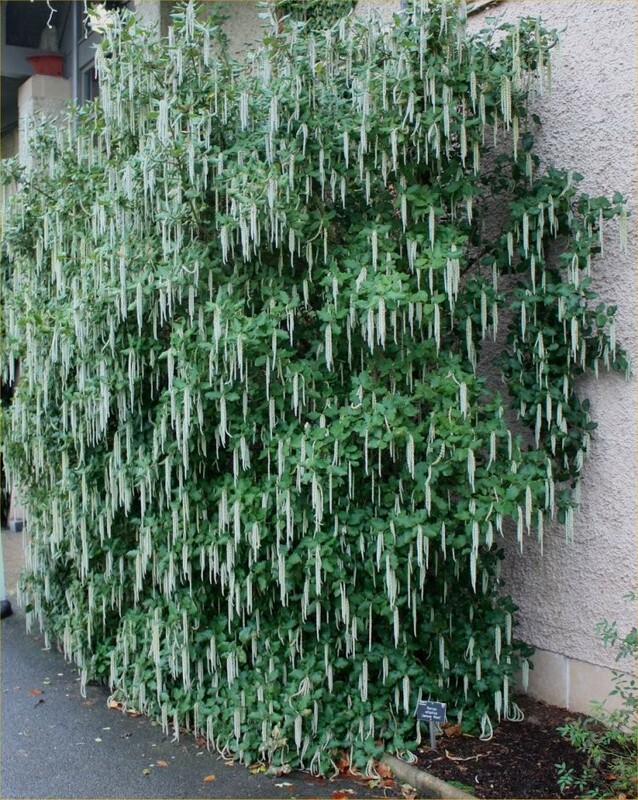 The silken tassels really will make an outstanding feature in the winter garden, especially when combined with other winter beauties such as Hamamelia Witch Hazels, Dog Woods and fragrant Viburnum varieties. 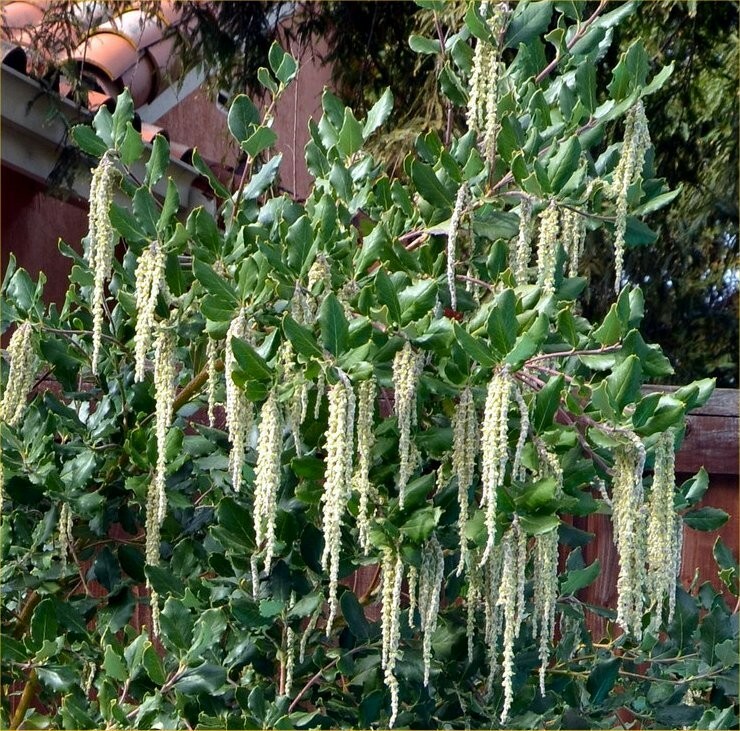 During the summer months, when the display of catkins is over, the dark green foliage will make for a lovely backdrop to summer blooming shrubs and herbaceous perennial plants. Supplied in approx 2-3 Litre containers at around 60cms tall.